In a large bowl sift 1 cup self raising flour with ½ teaspoon bi-carb soda and a pinch of salt. Add one lightly beaten egg, 35g melted butter and 1 cup milk, whisking until smooth. Heat a little oil in a non stick frying pan. Cook teaspoonfuls of mixture in batches, about the size of small pikelets. Cook until golden and set. 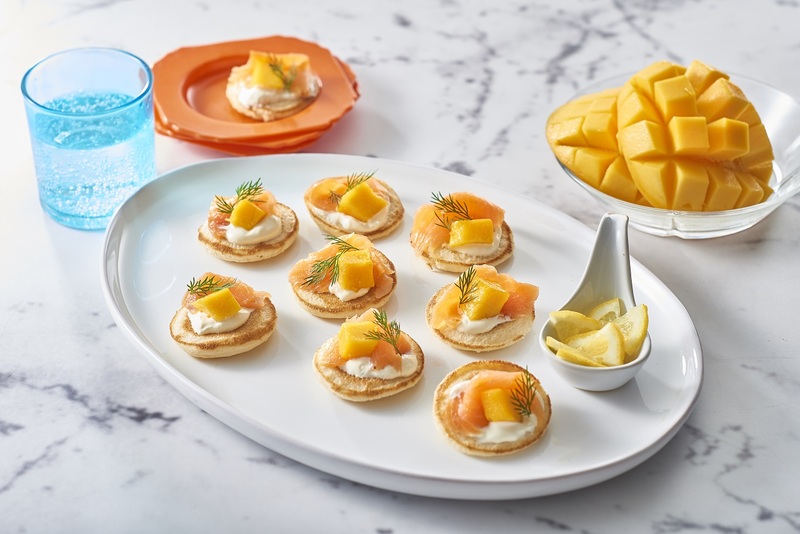 Allow to cool then top blinis with sour cream, chopped mango, strips of smoked salmon and dill sprigs.